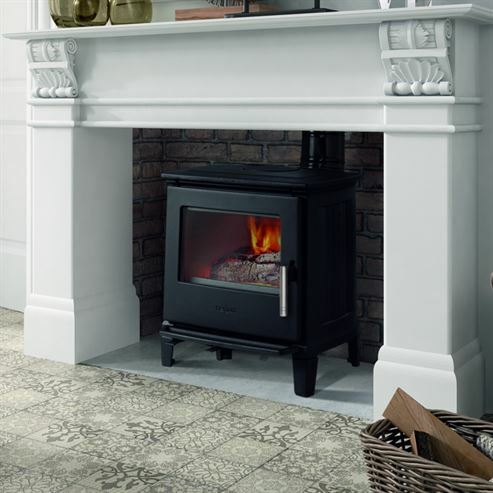 The E-30 stoves feature a balanced design and an optimised combustion system. Their big loading capacity together with their high efficiency guarantee a long burning time. It is available in 3 models: E -30 S, E-30 M and E-30 L, making them suitable for any living area. The E-30 is build entirely of a robust cast iron and comes with built in air wash system to keep the glass clean and your fire view unimpeded.